The Annual AfricaCom conference which took place in Cape Town is the leading African trade show for professionals involved in the Telecommunications industry. This year’s tradeshow took place from the 9th to the 10th of November 2011 and showcased numerous Network and Infrastructure as well as VAS and Applications solutions. 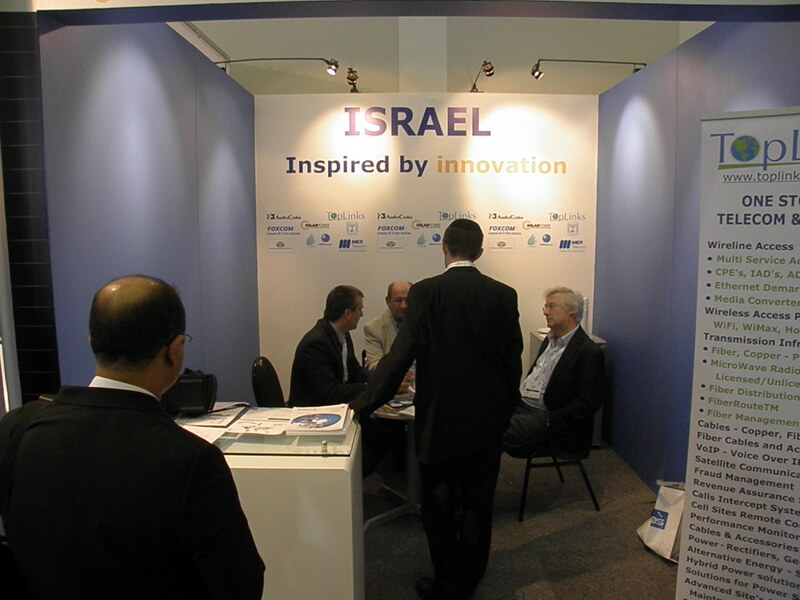 The Israeli Pavilion was quite active with the presence with 7 companies. Dozens of Southern African companies met with Israel companies of interest. The southern African companies included Mobile and fixed operators as well as a number of substantial system integrators in the Telecom industry and they were highly impressed with the level of innovation that could be found at the Israeli Pavilion. Preparations for Mobile World Congress in Barcelona which occurs towards the end of February 2012 and also Africa Com 2012 are already under way. To make your time more valuable at any of those events, we would like to preschedule meeting for you at the Israeli pavilions at those events. Driven by innovation, creativity and a long history of success, the Israeli Telecommunications industry had become a global leader. The Embassy of Israel to South Africa has taken it upon itself the mission to promote new innovative and high potential telecommunications vendors (VAS, Content & Content enablers, Network equipment, Network and bandwidth management and more) and hosts under its umbrella 7 leading Israeli companies at AfricaCom this year. To coordinate meetings at the Israeli Pavilion please contact Ido Yaffet from the Israeli Trade and Economic Office in South Africa. Fox Com – Since 1993, Foxcom a division of OnePath Networks has been recognized as a leading manufacturer of advanced RF over Fiber Solutions for the commercial, government and military markets Website – http://www.foxcom.com/.